1. Through “Grades” in your course. 2. Trought the assignment folder in your course. 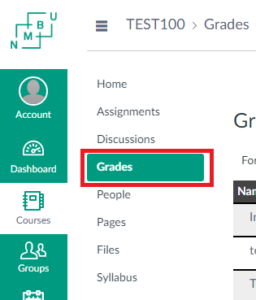 Go to your course, and choose “Grades” from the navigation bar. You will se a list of the assignments you have handed in and their result. By pressing the speech bubble you can view comments. Then press the assignments you want to view. 2. Comments on your assignment. 3. Specific feedback if available. This entry was posted in IT-documentation on June 20, 2017 by Frithjof Kramer Hald.